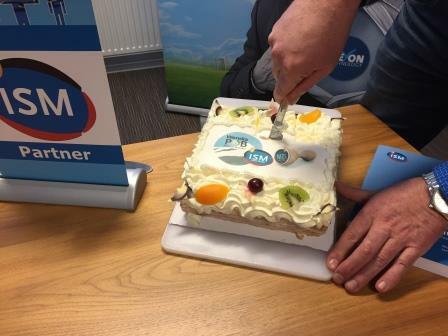 Leusden, February 5, 2016 – We are proud to announce that as of today our comprehensive, integrated and flexible Service Management solution Wendia Point of Business (POB) meets the strict standards for ISM and can officially show the “ISM Certified” logo. 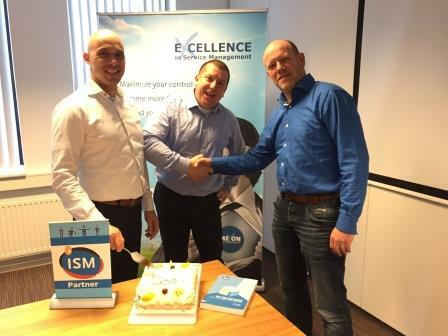 The cooperation was formalized in a festive manner by the General Manager of Servitect Wim Hoving (developer of the ISM method, pictured right), Mexon Technology’s Operations Manager Titus Klijsen (center in photo) and Business Development Manager Robert Gebhardt (left in photo). The ISM method offers the solution for the integrated control of the IT department. IT service delivery is improved noticeable, in call handling, quality, and resource management. ISM is an ITIL implementation, but distinguishes itself by means of structure, simplicity, and especially applicability. With the ISM method, the IT department can perform quickly and demonstrably better and more uniform. Mexon Technology has demonstrated to Servitect that Wendia POB is able to support the required ISM functionality and can integrate with publishing tools. Wendia POB can therefore be deployed faster, more efficient, more effective and cheaper than non ISM-certified tools. If you want to know what the ISM method and Wendia POB can do for you? Please contact us via sales@mexontechnology.com or call +31 (0) 33-4321700.